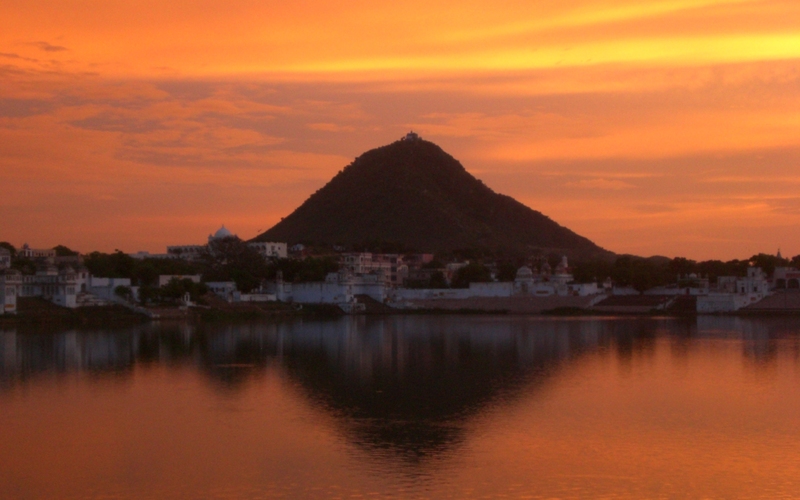 It was August and still off-season in Pushkar. There were not too many other western backpackers around and the town was quite peaceful. We found a nice room for a very good price. It was still raining season and the beautiful big garden was lush green. Turtles wandered through it to feast on the hibiscus flowers, birds of all sizes and colours bathed everywhere in small puddles and there was a stable with two beautiful horses. I marveled at the beauty of the Rajasthani gipsy girls and enjoyed watching a group of New Age people performing psychedelic dances on the shore of the lake at sunset. I had to cross the whole town in order to reach the ATM to take out some money. Just around the corner of the guesthouse a boy approached me with his coconut sarangi to beg for some money. I don’t know if there is any way to make this instrument sound nice, to me it sounded awful! I ignored him, but he didn’t give in and followed me fiddling like a possessed. First I found the situation kind of funny, but after half way the squeaking sound really started to annoy me. I stepped into the ATM and the boy was clinging to the glass door, still fiddling. By then the sound was making me so nervous that I forgot my PIN code. I opened the door and asked him to leave. No reaction. I was tempted to pay him something so he would just stop playing, but I decided to do it the Indian way and yelled at him that I would break his arm if he would not leave me alone immediately. I don’t know if he understood what I said, but he eventually left. I felt proud; for once I managed to get rid of a beggar by myself. It’s not that I never give anything to beggars; I do so if it feels right to me. There are so many that it is impossible to give to everyone. I took the money and turned around to find that the boy had been replaced by a beggar woman, who held a skinny baby in her arms. Great! And yes, I fell for one of India’s biggest scams! She asked for money and made me understand that the baby needed milk. I did not want to give her any money, so she took me to a pharmacy nearby and asked me to buy a packet of infant milk. The eyes of the little baby looked so big in his tiny face. I got weak and bought the milk, which by the way was pretty expensive. Later I found out, what actually happens: The women have a deal with the pharmacist. They bring back the powder milk and he gives them part of the money in return. Both of them have a profit. But that’s not the worst, in most of the cases, the babies are not even their own. They borrow them from someone to go “to work” and occasionally even pinch them to make them cry in order to arouse more compassion. Lesson learned! When I called home I was asked all the time, what I was doing over there all day long. I didn’t know what to answer anymore, as doing nothing is not acceptable on the other side of the world (except you are on paid holidays, of course). So I decided to do something more touristic than usual. Baba was thrilled with the idea of riding out on a horse. I asked him if he ever had ridden a horse. But if you ask Baba if he knows how to do something, he will rarely answer that he doesn’t. A guide would ride with us and I guessed that they would give us anyways some lazy, old horses just for the pleasure of enjoying the landscape on a horse’s back. I guessed wrong; the horses were young, full of energy and ready to race off. We had an adventurous three-hour ride, which we enjoyed a lot. Unfortunately the result was that Baba could not sit probably for three days. When Baba could sit again like a normal person, we booked a camel cart tour to spend the night in an abandoned temple ruin situated in an oasis somewhere in the desert. Our camel’s name was Krishna. I don’t know if all camels do so, but our Krishna farted a lot! It took a little getting used to this, as we were sitting right behind the animal. We crossed small villages and met a couple of Israeli backpackers surrounded by a crowd of curious kids who observed how they were swearing at their rented scooters that had broken down on the road side. To have a motorbike breakdown only after a few kilometres seems to be something pretty common in Pushkar. I heard the same story from a lot of people. I thought that maybe it’s a strategy of the bike rental, which might have many bikes requiring major repairs. So they rent them knowing that there will be a problem and afterwards demand a large amount of money from the tourists, telling them that the bike was fine before they took it. Like this they get their broken bikes completely repaired and don’t have to put even one rupee from their pocket. This is just one theory, though. By dawn we arrived at the oasis. It was amazing! There were hundreds of peacocks everywhere dancing and singing and the temple ruin was pretty cool. The camelwallah made a fire and cooked dinner for us. I wondered where he had taken the water from as I did not remember to have seen any container on the cart. First I enjoyed the mysterious atmosphere a lot, but then mosquitos and bizarre animal sounds kept me from sleeping most of the night. The next day, after our breakfast got stolen by a group of monkeys and we had some strange tasting chai, I took a walk through the area and found the source of the water. I insistently prayed that I was wrong. It was a lake or more precisely a swamp. Water Buffalos were bathing in it chewing on the algae that covered the green water. This was rather an adventure for my digestive system than for my spirit. Guruji picked us up with a rickshaw at Bikaner train station. I liked him from the beginning. His eyes reflected a deep kindness. He was tall and slim and much younger than I had expected. The Ashram was situated in the outskirts of the city. 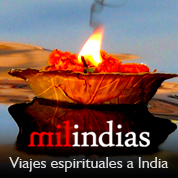 It did not look at all like any of the tourist ashrams that I knew from India. The place consisted of a large patio surrounded by a few small buildings and several shrines, all bounded by a high wall. There were two bedrooms, one kitchen, one washing room and one meditation room with a dhuni in the basement. 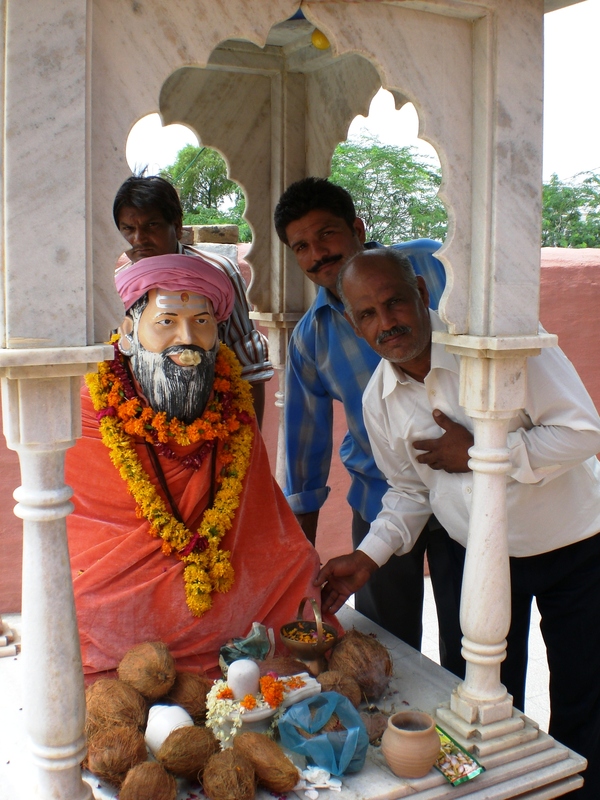 I was introduced to the resident sadhu and two of his disciples. 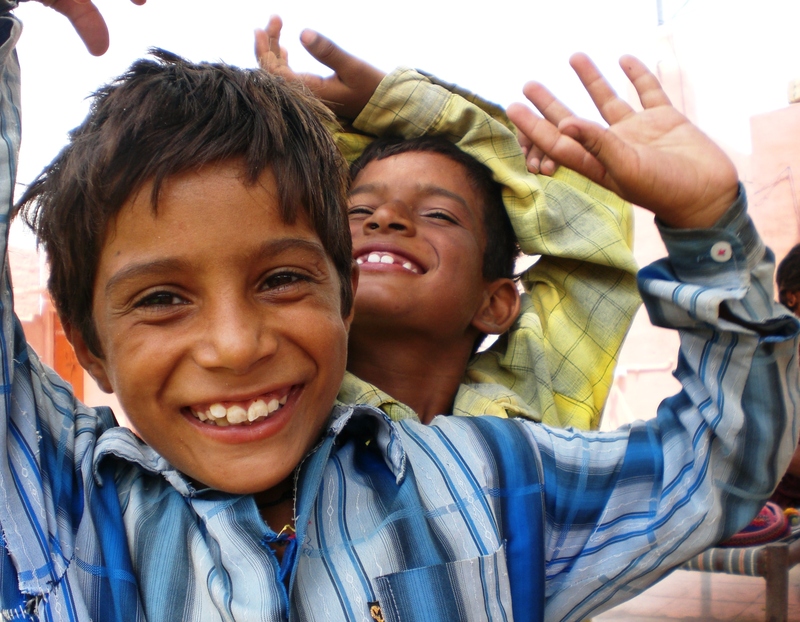 They were two young Babas about fourteen and eighteen years old. The rickshaw driver turned out to be also a student of the Ashram, who would be at our disposal offering his seva whenever we needed a ride. 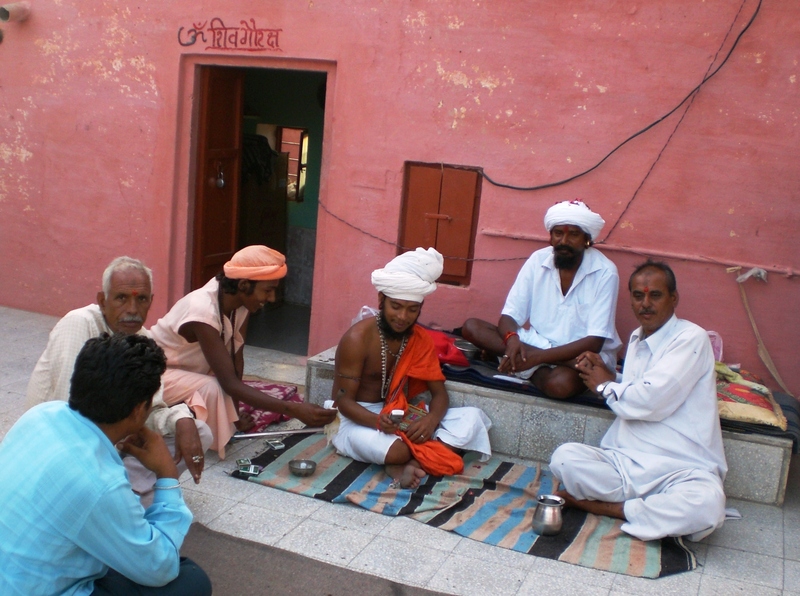 Not all disciples become sadhus; many worship their gurus and live a normal life. A lot of locals came daily to the ashram to serve the sadhus, ask them for advice, listen to their stories or just enjoy their presence. They brought offerings along with them in form of food, incense or money. Obviously nobody in the Ashram was used to have a woman living among them and less a westerner. It was a new and nice experience for both parts. Guruji treated me like a daughter and was visibly concerned about my wellbeing. My Hindi was as poor as his English, but sometimes there is no need for words and I had the feeling that I knew him since a long time. What I most liked about him, was his humbleness. I had come to meet several sadhus and had my personal difficulties dealing with the arrogance of many of them. It seems to be difficult to keep the spiritual ego under control once you are surrounded by disciples who treat you like god. My Baba was very busy with Guruji, a long time had passed since they last met; most of the time I was left to myself. I sat with big eyes in the heat observing the ashram life passing in front of me and trying to understand what was going on. It was the end of July and incredibly hot; for sure not the best season to travel to the desert. It was so hot that everybody slept outside, where a light breeze blew from time to time. I slept very well on a blanket under a neem tree. It is said that sleeping under a neem tree is therapeutic, it produces more oxygen than other trees and is known to cure more than 100 diseases. Baba says that if you sleep under such a tree during six months you will be free of any health problems. The only side effect was that the tree was also a home to a large group of birds; every morning I had to clean off the bird poo from my clothes. The daily ashram routine started at 3.30 a.m. with bhajans blasting out from the crackling speakers. First of all everybody used the bathrooms to purify the physical body. Next the entire place was cleaned neatly with water to have the ashram spick and span for the morning puja. After the prayers we sat together and had chai, followed by another resting period before the heat would turn almost unbearable. During the day locals would pay their visits. All day long people walked in and out and many joined in for the evening puja. 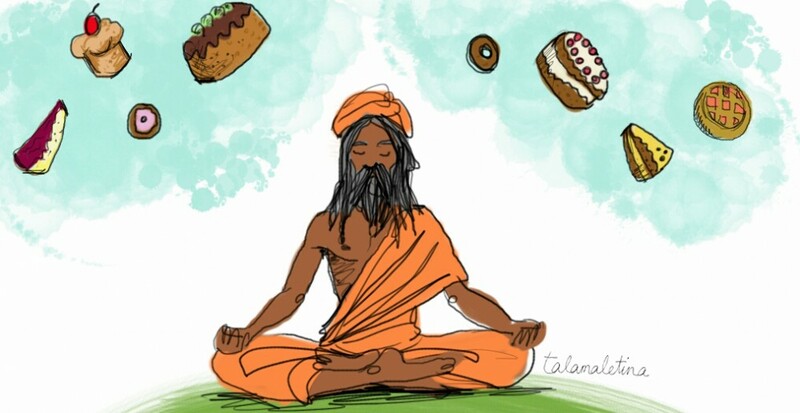 Guruji insisted that my Baba would be in charge of the cooking, he said that he missed his culinary skills too much. Sometimes I helped peeling potatoes or cleaned the dishes with ash or sand; that’s the way desert people do it, as water is precious and rare. I guess I should have helped more, but there are so many rules in every ambit of Hindu society that I was afraid to offend someone by my lack of knowledge. My thinking was of course a bit silly; for sure they would understand the cultural differences and be happy to explain everything. During the day I sat mostly in the shadow of the building in front of the big gate alone with my thoughts. It was a kind of unintended but much revealing meditation. Sometimes I silently repeated mantras to keep my mind from spinning too much. The kids of the neighborhood discovered me soon and climbed up the wall to wave at me and sit there for some time to see what I was doing. Each time the gate opened it was like a theatre curtain rising. All kind of people stepped through it to receive some healing, to enjoy a couple of chillums or to pray at the shrines. Once, even a camel appeared in the gate. Another time a group of Rajasthani ladies in colourful sarees walked in. They prostrated in front of me and touched my feet as a gesture of highest respect. 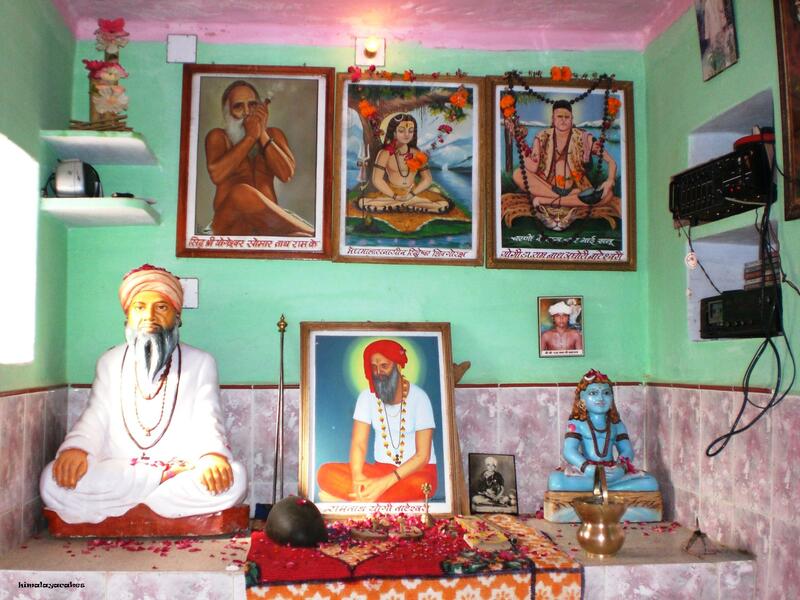 Apparently they thought that I was a holy Mataji, because I was living with the sadhus. I felt pretty embarrassed; who was I to get my feet touched by anybody? I did not feel worthy giving them the blessings they expected to receive by touching their heads. Maybe I should just have done so, as I learned that all human beings actually possess the power of blessing. 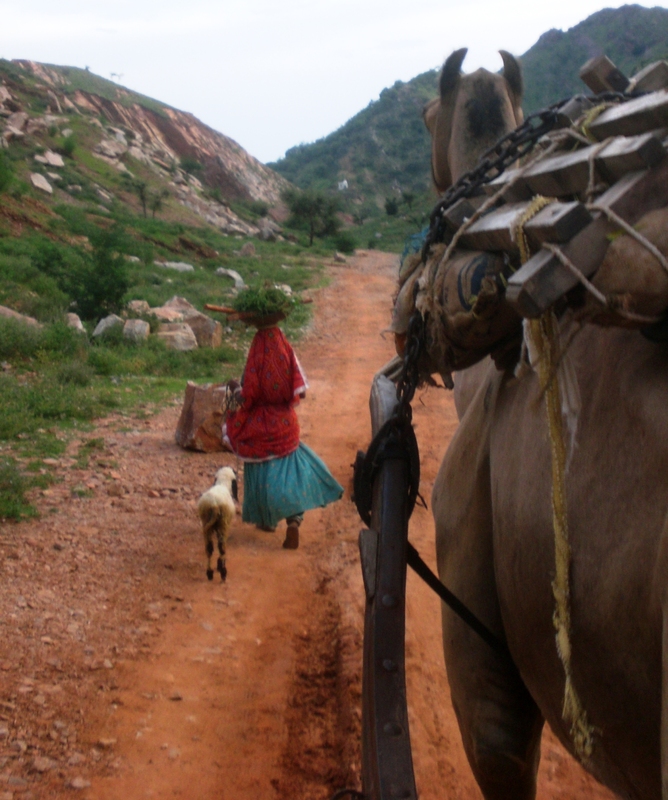 Sometimes the sadhus took me for sightseeing. I felt like Snow White, but surrounded and protected by sadhus instead of dwarfs. 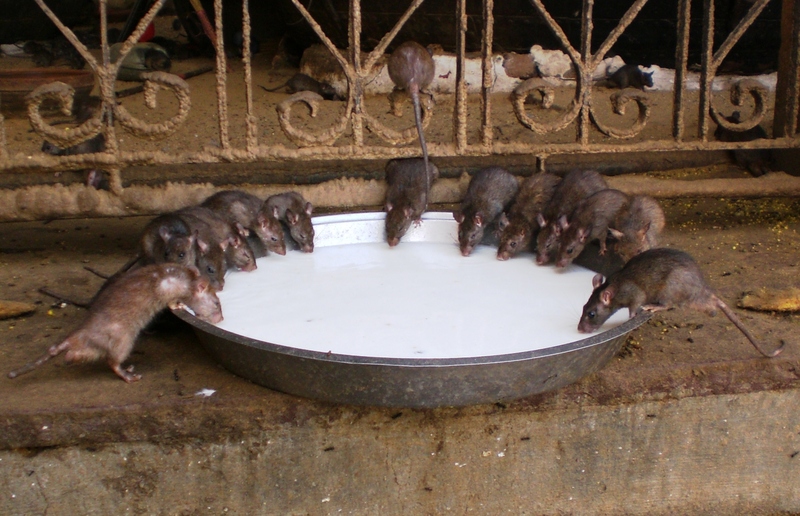 We visited Karnimata temple, also known as the rat temple. The little rodents are considered holy there. This day I was deeply thankful for the heat, as it kept the thousands of fat rats sleeping peacefully in the corners of the temple. 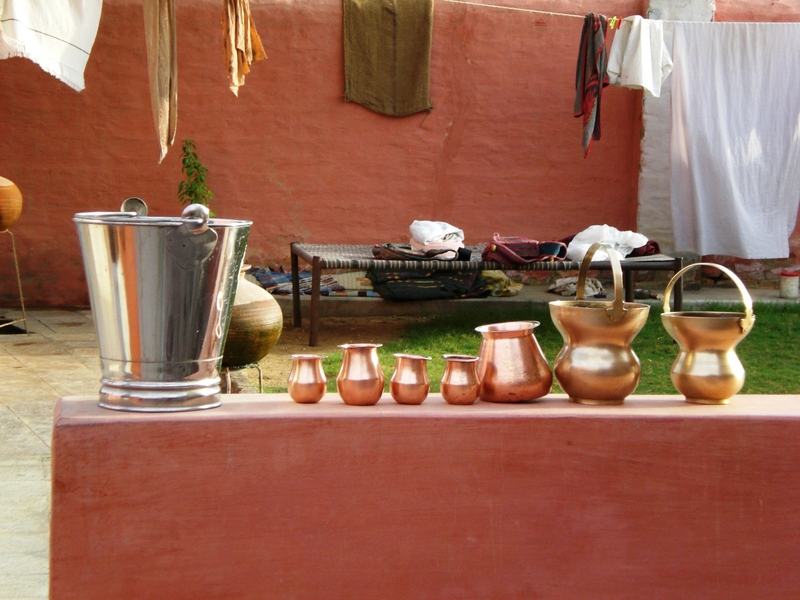 From time to time some of them moved lazily to have a sip of milk which was offered to them in huge clay bowls. I actually like rats and mice, but to see so many of them in one spot and imagining how they all hop over my feet from all sides felt pretty eery. For me this Baba world I got to know was completely new. It was so much different from my experiences with the Baba society in Rishikesh, were they barely received any attention from the locals. 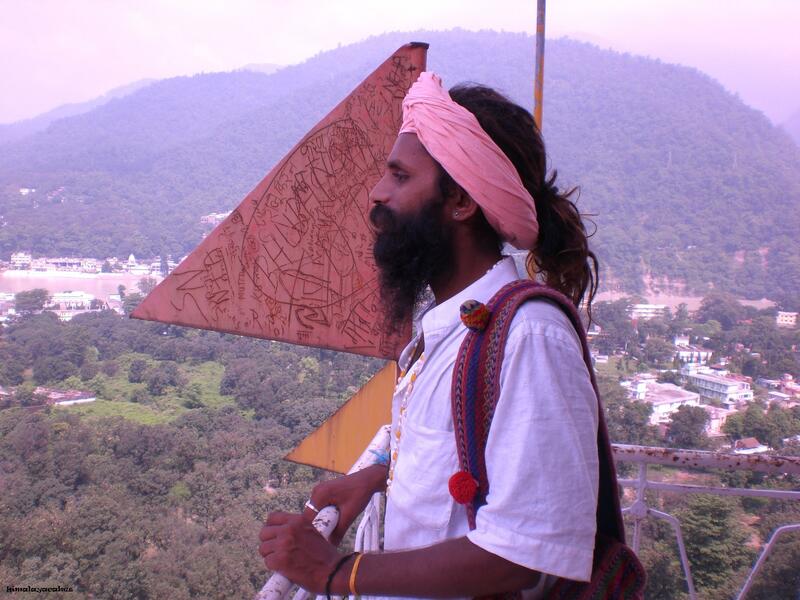 I got disappointed in more than one occasion, thinking that I was having a nice talk with a sadhu, but each time the conversation ended with a petition for money. 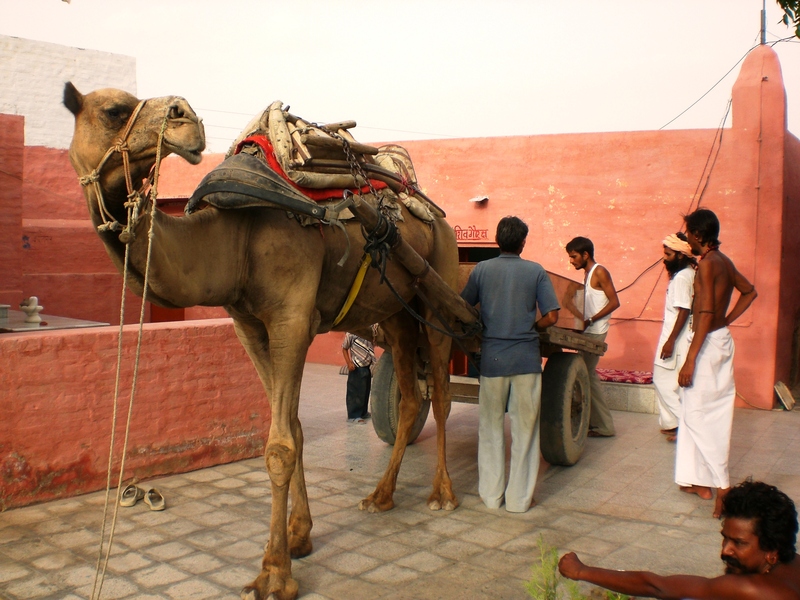 My experience in Bikaner touched my soul. It was beautiful to be witness and part of an ancient system which consists of giving and receiving in so many different ways.